Reckoned as one of the most trustworthy manufacturer of in terms of Laboratory Glassware, we provide our clients with a whole range of Glass Petri Dishes. 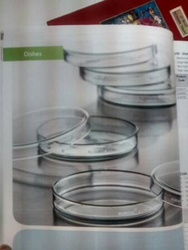 The Petri dishes are clear crystal glass and its Edges are armored to provide safety against mechanical rupture. 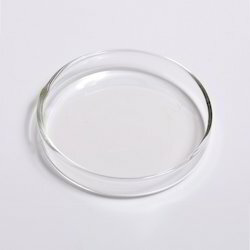 Our range of Petri dish is highly polished to produce super flat surfaces. We are the remarkable entity, engaged in offering a superior range of Borosilicate Glass Dishes to our valued clients at very affordable rates. - Sizes Available-100*500 mm, 150*75 mm , 190*100mm . - Dishes, Crystallizing, Made from Heat Resistant, Low Expension Borosilicate Glass. - DISHES, CRYSTALLISING, With Spout. - Dishes, Evaporating, Made from Heat Resistant, Low Expansion Borosilicate Glass. This is a classic Georgian style silver plated cut glass roll over butter dish. The central frame has beautiful lined border with intricate beading at the top. The entire piece stands on 4 highly detailed Ram head feet.